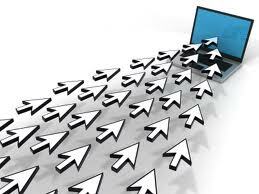 7 Tips for Getting Great Traffic with Classified Ads! In the offline world, there has always been a marketing tool that small businesses have used over and over again to reach HUGE audiences with minimal investment. … I’m talking about classified ads! But did you know that ONLINE classified ads can be just as effective? Not only do they put your product in front of people who are actively looking to BUY something — they also give you great inbound links from high PageRank sites! However, in order to get the best results from your classified ads, you have to know how to write a winning ad! The first thing people will notice is your headline. Use “power words” such as, “free,” “guarantee,” and “save” to make sure it grabs their attention right away! Otherwise, they won’t bother reading the rest of your ad. Keep your message short and sweet. Focus on a single benefit, and make it really compelling! People don’t want to read something long and boring — they need to be able to scan your ad quickly to determine whether or not they want to click on it. Remember, the point of your ad isn’t to sell your product — it’s to encourage people to click through to your salespage and then let IT do the heavy lifting. Classified ad sites are usually broken up into different categories, making it easier for people to find what they’re looking for. Make sure your ads are properly worded for the categories they will appear in. If necessary, write different ads for different categories. Always place your ad in multiple categories and sub-categories. An ad in 10 categories running for one week will usually generate a better response than a single ad in one category for 10 weeks. Before you write your ad, snoop around to see what kinds of ads your competition is placing. Figure out what their strengths and weaknesses are, then use this information to make YOUR ad more compelling. Classified ad sites change quickly. One day your ad will be at the top of the page, and the next it will have disappeared four pages down. Be prepared to resubmit your ad on a regular basis. If you post your email address in your classified ads, it will almost certainly be harvested by spammers. Unless you want your inbox to be swamped with a ton of junk mail, you should use a dummy email account you’ve set up through a free service like Hotmail or Gmail. … By following these 7 tips and getting your classified ads posted on numerous different classified ad sites and ezines, you’re bound to see a huge boost in your traffic numbers. And that’s the kind of “classified info” you’ll want to share with the world! If you enjoyed this article, Sign up below to get regular updates!